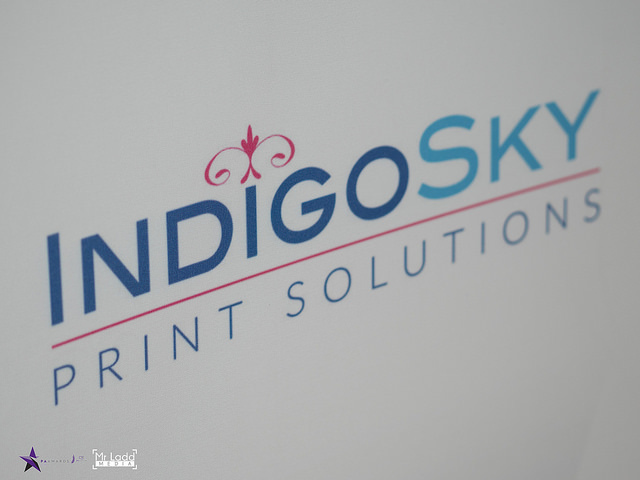 Indigo Sky Print Solutions provide an end to end service from design through full management to successful delivery. It’s this personal service that sets us apart and we can source many items ranging from business cards and flyers to full wall coverings and ink on fabric. With over 40 years experience in the print industry, we offer a professional and personal touch to all of our services. Nothing is too big or too small so contact us to find out more. We source and supply various promotional goods for our clients. Our items are fully customisable with your design and our range includes many novelty items including drinkware, lanyards, sweets and mints, selfie sticks, travel merchandise, head bands, bags and a huge selection of corporate gifts. Our range is limitless and we pride ourselves on being able to source even the quirkiest items! For more information or prices, just contact us to find out more. We are proud to offer a complete solution to our clients and to ensure that you get a seamless brand, we provide branded workwear along with our print and promotional items. We source and supply many varied garments and consumables that can be printed or embroidered with your own logo and/or branding. To ensure a comprehensive solution, we also engrave and laser cut, too! Using state of the art laser cutting equipment, we can create and produce a whole range of items to help you to provide that personal touch for that special gift, a corporate trophy and much more. Contact us to find out about how we can manage your entire project, all under one roof! Get in touch with Indigo Sky Print Solutions for all of your design and print, promotional products, branded workwear and web design needs. We also accept credit card payments. Contact us today.